The sounds of children floated through the grime covered windows. Laughter. Singing. “From when there were still songs,” Ann said to herself. As the platoon passed, Ann lowered her rifle so she could run a hand over the glass. “What are you doing, A?” The crunch of her Lt.’s boots followed his whisper. Ann sighed, then shouldered her weapon. Ann’s eyes widened and she froze where she was. She only had to look down to see the faces of wraiths staring back through the windows. 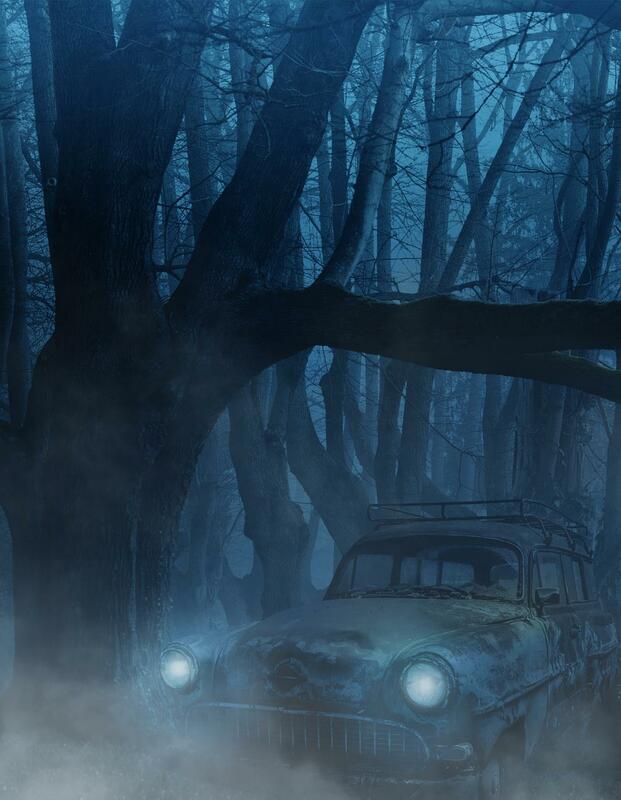 The land rover crept slowly and steadily through the woods dripping with fog. Jack switched on the windshield wipers, but it didn’t seem to help much. “I know where I’m going.” Jack tried not to snap. He had loved his wife for so many years. Installing her voice into the GPS had seemed like a sweet reminder. A way to keep her with him after cancer took its toll. The salesdemon had been very sympathetic, after all. Maybe it was a metaphysical accident. Maybe the salesdemon had known that Jack’s grief would torment him every time Mari9lyn’s ghostly voice emerged from the speaker. It didn’t matter any more. Beyond these mourning woods were the high cliffs called Dead Man’s Curve. People went off the cliff sometimes, on foggy nights like these. It would be as tragic as cancer. “We are lost,” Marilyn’s voice whispered from the GPS. “What do you mean we have to stay?” A voice complained above Shards shoulder. Lily looked worried, a gather of mist forming a young floating child.